Some of the simplest things in life can provide immense enjoyment and memories that cannot be duplicated. Ever since I was a kid, one of my favourite places to be was at the beach. There is something peaceful and serene that touches my spirit when I am near water. 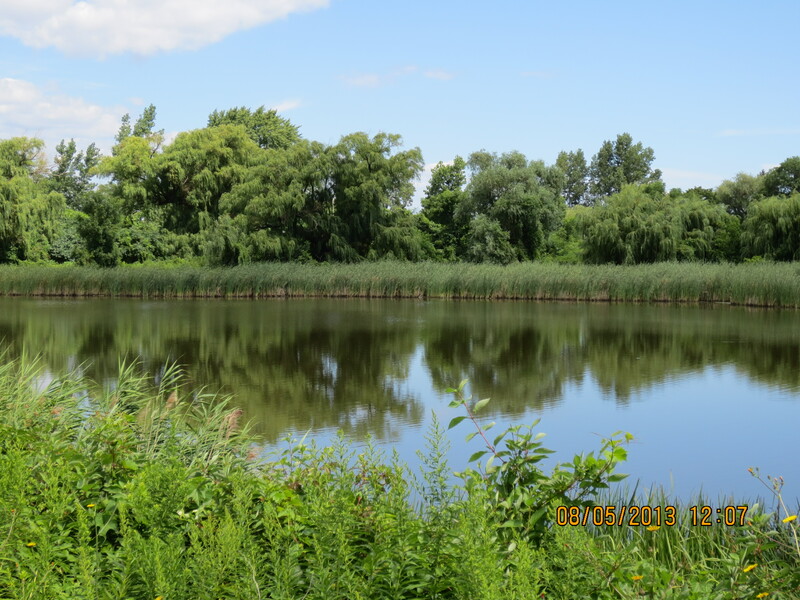 Thankfully, I am blessed to live within walking distance from one of the great lakes in Southern Ontario. Over the summer I have accomplished several walks to the lake. One day in August, my two youngest children joined me. I had taken my camera along, since I love to capture nature and my children. I did get a few nice shots along the way. I had a wonderful time on this hike with my kids. 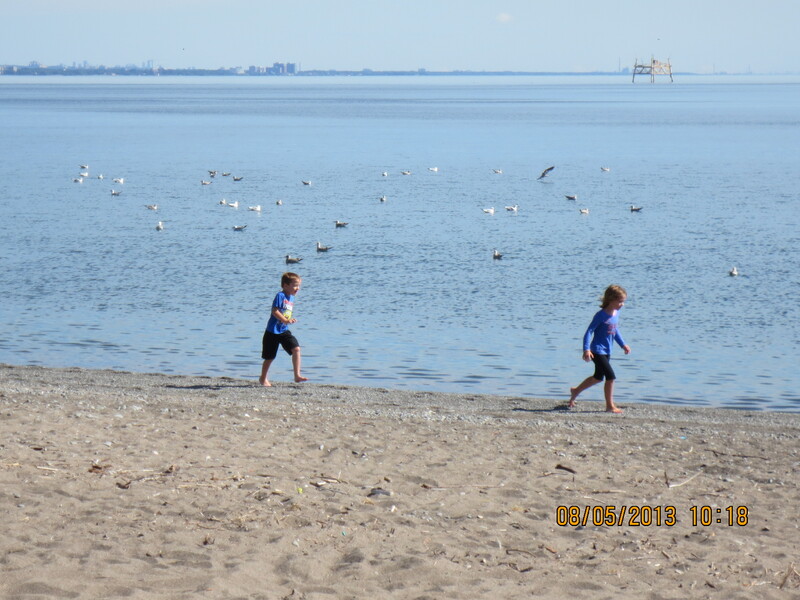 We stopped at the beach for a while so they could play near the water and in the sand. The trail home provides spectacular nature scenery. 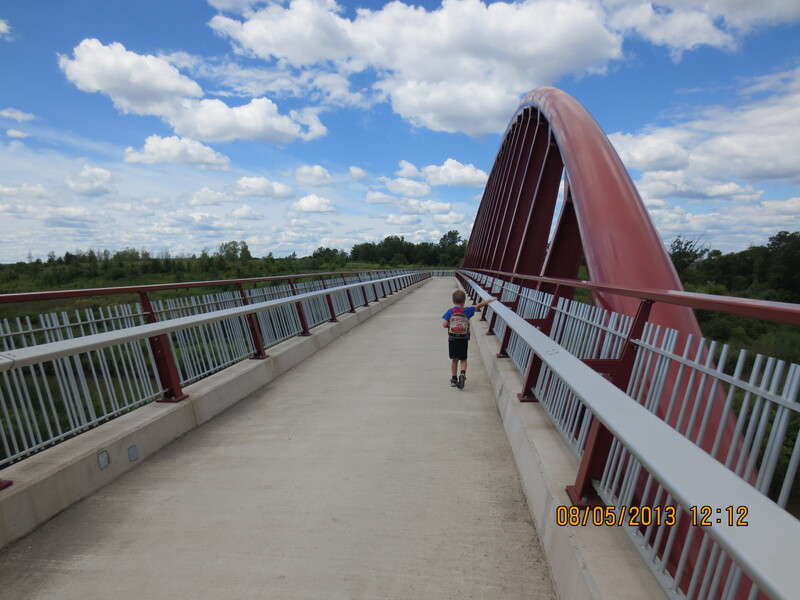 Part of the trail is a pedestrian bridge that crosses over the highway. I took a photo of my son crossing this bridge. When my husband saw the photo he fell in love with it, and decided to send it in to our local newspaper. They accept photos depicting things around our city. We did not know if they would post the picture, or when, if they did. Last Saturday morning my husband opened the newspaper, and lo and behold: there was the photo! My 6-year-old son was ecstatic to have “his” picture in the paper. (Even though it only showed him from behind) This made him feel like a celebrity. The neighbours asked where “the star” was. I swear his chest puffed up to twice its size in pride when he was asked about the picture! This will be a memory I am sure my son will cherish forever. Spending time walking with my kids and having them enjoy the same things I did as a kid was already deeply satisfying. That picture getting in the paper was just icing on the cake. Love the way you write Flo! Great stuff. Thank you for the compliment and thanks for following me.